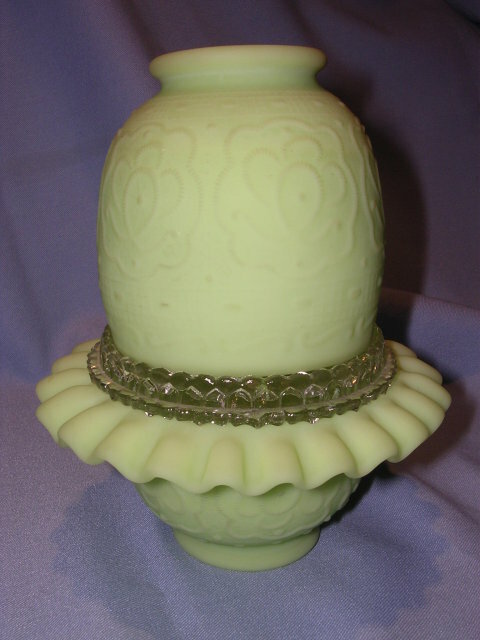 Beautiful Fenton three (3) Piece Persian Medalion Green Satin Glass Fairy Lamp. 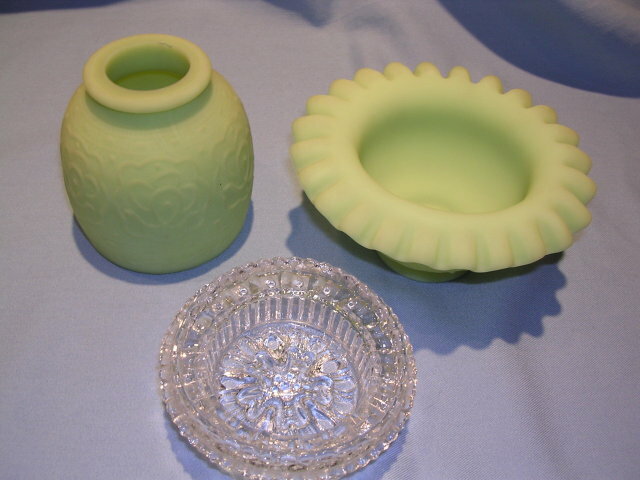 Made by Fenton from 1972-83. 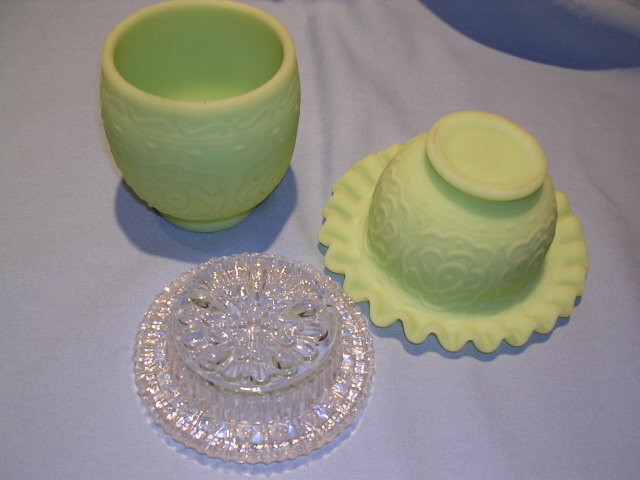 The Lamp and Base are Satin Glass with the Persian Medalion Design and the Candle Holder is a clear Crystal with the same design in the center. In excellent condition with no chips, cracks or repairs. 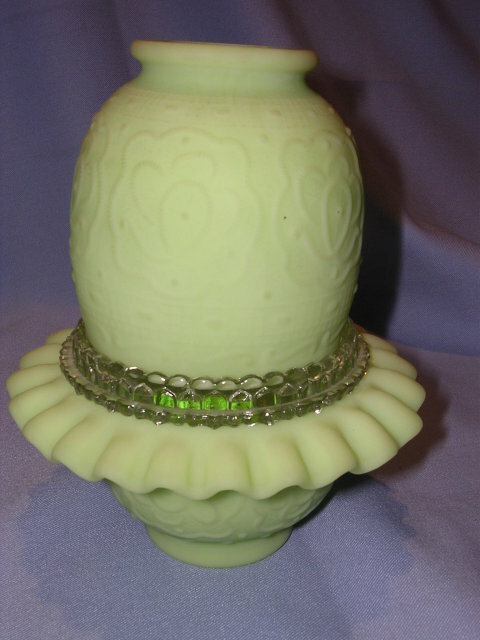 Items Similar To "FENTON PERSIAN MEDALION GREEN SATIN GLASS THREE PIECE FAIRY LAMP"
Glass/Homeco Fairy Lite/Lamp/American Whitehall by Indiana Glass Co.